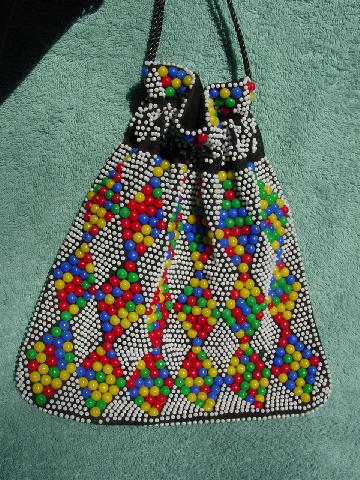 This vintage handmade purse has a black thin wire cord drawstring top closure and a black (probably polyester) lining. 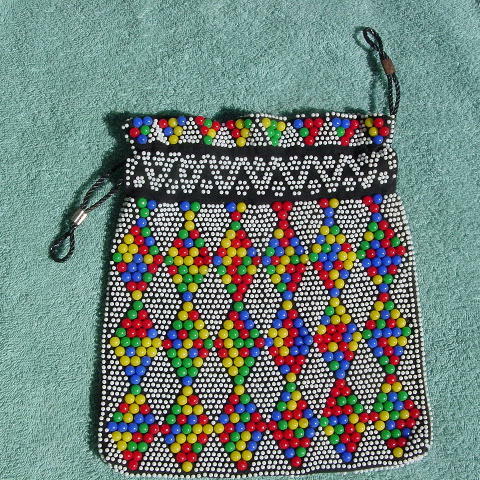 The exterior on both sides has an elevated bead design pattern in yellow, red, blue, green and little white beads. One of the metal drawstring holders is rusty on the outer surface. You could paint both of them if you don't want that "well-loved" look. There are a few white beads missing on the upper part. She picked it up in Spain.